The Bank of Ireland Munster Clubs Age-Grade launch took place at Irish Independent Park last week ahead of a series of quarter-final and semi-final rounds. Forty-eight clubs from across the U-16 Cup, Bowl and Plate and U-18 Cup, Bowl and Plate competitions were represented with 132 club members in attendance. A total of 265 U-16 and 288 U-18 games have been played so far across all competitions and throughout the province. 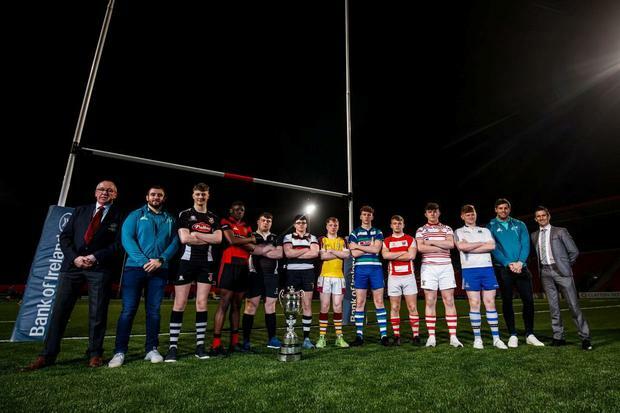 Irish Independent Park will host two festivals of youth rugby consisting of the Bank of Ireland Munster U-16 and U-18 Club competition finals. During the weekend of Sunday, March 24, the Cork venue will host five finals and will welcome the remaining finalists during the weekend of Sunday, March 31.